Victoria and I spent a windy day in Clearwater at the Clearwater Marine Aquarium, which is known for being a filming location for the movie “Dolphin Tale.” You’ll learn much about the movie and Winter, the dolphin who played herself in it, when you visit. We found just a few people in line to buy my ticket, which was about $21. Victoria got in for free, as do all children younger than 3. The cashier asked if I wanted to wear the orange wristband to enter, and I was confused by the question. “Sometimes they want to wear it,” she said, referring to kids. I didn’t think twice about it; I just put it on. Victoria immediately wanted the wristband. It was a rookie mom mistake, but she quickly got over it. As you walk toward the entrance, a photographer asks you to take goofy photos that you can purchase inside. When in Rome, right? I didn’t actually buy the photos but we enjoyed taking them. The entrance leads into the gift shop and an intensive care unit to the right, where you can observe as animals are treated. We instead headed to the fish and shark tanks. We then walked upstairs to see the turtle talk that was going on, followed by the otter presentation. We couldn’t really find a suitable spot for Victoria to see the otter well, so we moved on to the turtle tank, which is outside and down a flight of stairs. I had to lift Victoria up to see the turtles swim, because the viewing portals are much taller than a toddler is. We had some time to ourselves to admire the turtles as they swam. We then went back upstairs to the stranding deck, where a dolphin presentation was about to begin. This is where we met Nicholas, who lost his mother and never learned how to survive in the wild. It was incredibly windy on this day, and the canopy overhead sounded like it was going to blow off, but it was still a pleasant day overall as we sat on the bleachers. Next we walked over to another dolphin presentation taking place inside. We also walked around to the snack bar outside the entrance to grab a snack and drink some water. After a quick break, we walked inside to grab a souvenir, an ornament that says Clearwater Marine Aquarium, as part of our tradition of collecting ornaments from places we visit. I was ready to call it a day, but I heard a turtle had just been rescued that day, so we walked over to the animal clinic to watch it be treated. It was amazing to see! I then realized we had completely missed the sting rays, so we paid them a visit before heading out. Victoria had a wonderful time and talked about the turtles for the rest of the day, so I’d call it a successful adventure! 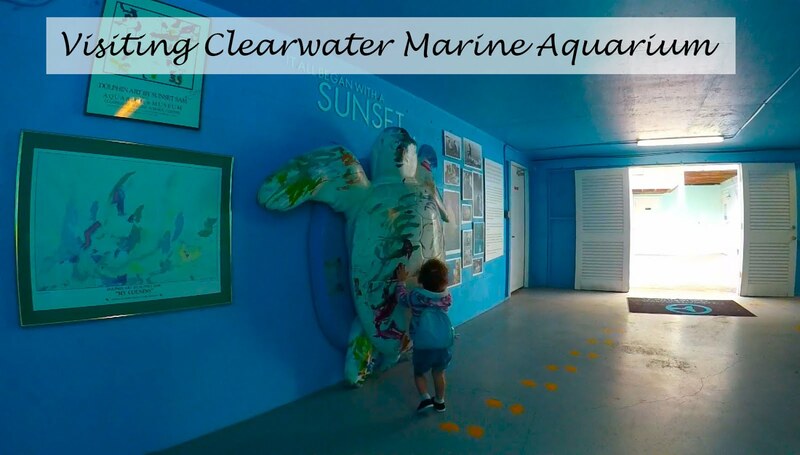 Have you been to the Clearwater Marine Aquarium or seen the movie “Dolphin Tale”?